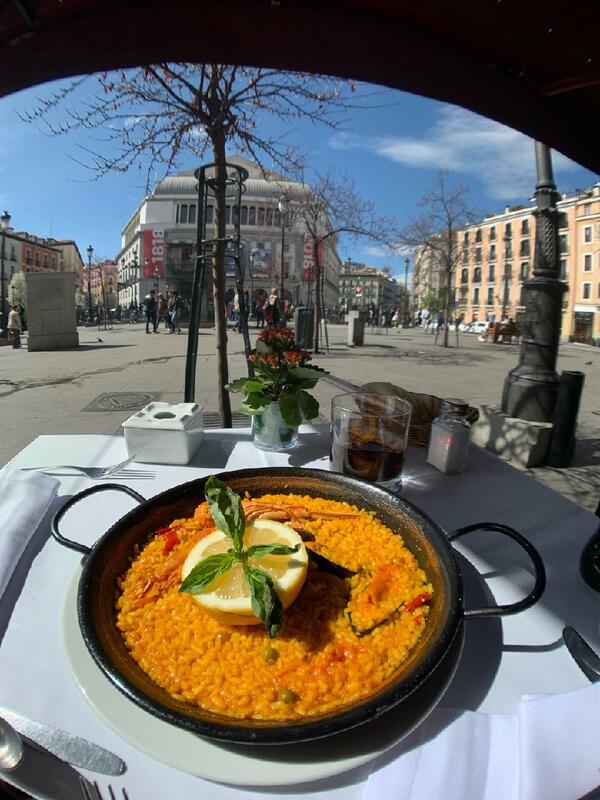 Clients reserve a table for tasty dishes here and enjoy the sights of Plaza de Isabel II. Argentine cuisine is served at this restaurant. 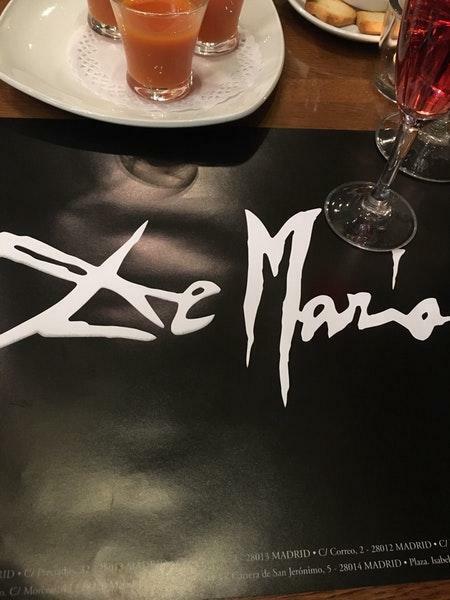 De María may please you with mouthwatering gazpacho, Caesar salads and tapas. Based on the reviewers' opinions, waiters offer good gelato, mango sorbet and yogurt here. It's easy to find this place due to the great location. You will appreciate delicious limoncello, champagne or cava rosado at this spot. According to the visitors' opinions, waiters serve great cortado, lemonade or mango smoothies. A number of people think that the staff is accommodating at this place. Service at this restaurant is something one can call fabulous. Fair prices are what you are to pay for your meal. At De María, guests can enjoy the exotic atmosphere and cute decor. Guests rated this place 4.5 on the TripAdvisor site. Centrally located at the opera house in Madrid. 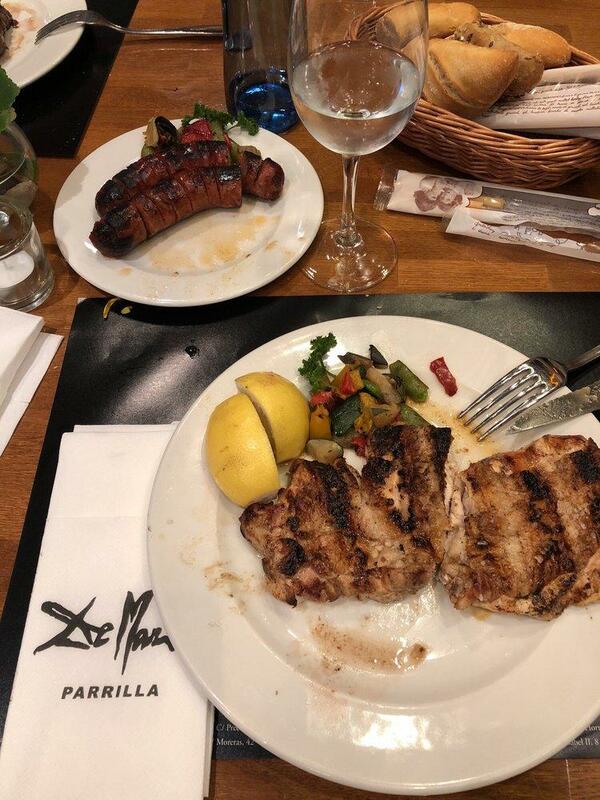 This is the best meal in Spain. The bread and wine choices were amazing. A true 5 course. We suggest the Iberian Secret. The best pork ribs without the bones. They start with complimentary cheese, bread, rose cava, and the most amazing Chimichurri spread. The meal was quickly served, hot and perfectly cooked. After the meal, they served complimentry dessert, port, liquere, and lemon sorbet. I cannot believe we waited till the last day and service was exceptional. I hope we miss our plane. Come here if you are looking for a good steak at lunchtime. Accidentally found this spot after walking around starving. Nice menu with a great selection of beef and sausage. Most items are a la carte but they have a great lunch prix fixe for 14€. Husband got the ribs and I ended up with the Tropical Salad (shrimp, mango, arugula and avocado). Both items were great but watch out for the extra salt they toss on the meat at the end, in case anyone is watching their sodium. We snagged the two seats at the bar in front of the grill which made for a fun afternoon of watching people on the street and food getting prepped. Don't miss this restaurant! Food is EXCELLENT, service is superb!! All the extras.. appetizers, drinks dessert!! Specials are just that-- have not had a meal that wasn't outstanding!